← Pimp Your Gear – Colored Frames UV Filter – For Pre-Order Now! my new companion in photography, the Lowepro Pro Roller X300. Photo: The Lowepro Pro Roller X300 arrives at my home. 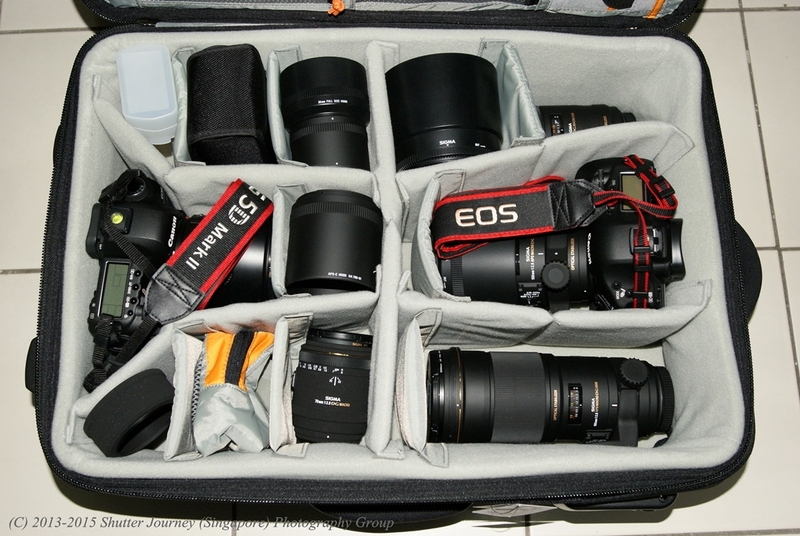 As a photography instructor & commercial photographer, there are many times when I am faced with a situation like “one-bag-cannot-fit all” or when I am moving bulk of equipments and I simply have to split my equipments into many carriers and bags. The problem is, I only have a pair of hands. And with all my equipments in many bags, there is also the possibility of losing a bag or 2 in the process of transportation. Apart from my studio bags which carries my strobes and light stands, the other biggest bag that I have for my camera & lenses is the ThinkTank AirPort Addict. And I have since “outgrown” that capacity in my line of work. And within a year with frequent uses, the ThinkTank has started to show signs of heavy wear & tear. That prompted me to get a bigger and better equipment bag that can out-carry, outlast & even outlives the ThinkTank that can safely transport my equipments and more equipments at the same time. 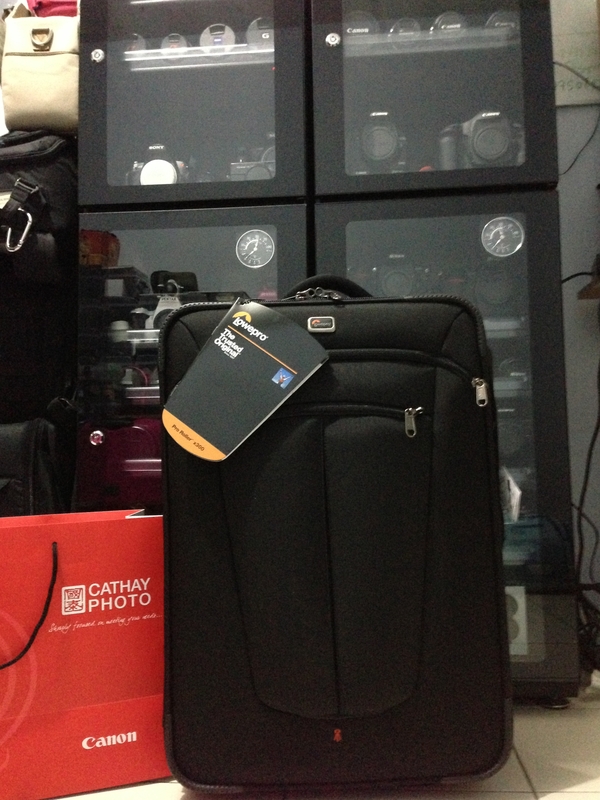 As usual, I went to my favorite photography store – Cathay Photo. They are probably the best “Photography Problem Solvers” as far as I can remember when I first stepped into Cathay Photo in year 2001. When I presented my need for a bigger capacity bag, I was answered promptly by one of the sales specialists to go for the ultimate carrier – the Lowepro Pro Roller X300. 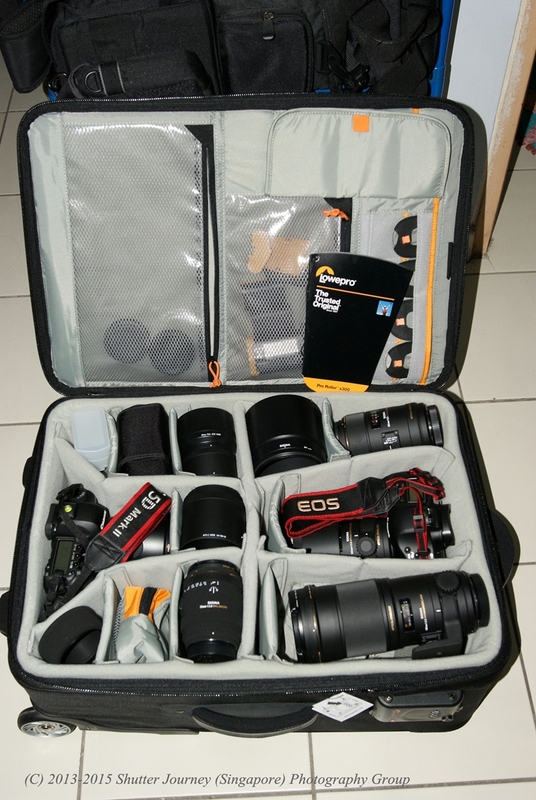 This is the largest flagship roller bag by Lowepro. Needless to say, instantly I fell in love with it and the next minute, I was already driving home with the stylish looking X300. I shall refrain blasting about the specs here as you can check it out yourself over at http://www.lowepro.com.sg/ instead, I have this idea of showing everyone on how to maximize the carrying capacity, the configurations, the various uses and the special features via this series of articles which I had named it – “My Lowepro Diary”. An immediate task on hand, I have a booking for a Portraiture shoot & a Macro Class this weekend and I will not be returning home for the next few days. This calls for a “heavy packing” and the Pro Roller X300 comes in really handy this time. Instead of packing my portrait gears into a bag and have all the macro gears into another bag, this time, all the gears that I need for the weekend are all packed nicely into the X300. That means, I only have the X300 & the Strobe bag, how neat is that? + other little knick knacks like blower, lenspens, cleaning cloth etc. Pic: Large cameras like the Canon 1D MarkIV & 5D MarkII are Dwarves in the X300. This is how I had configured the paddings/ dividers to fit all the gears in. *Some items are stacked thus visible due to the incredible depth of X300. Pic: Super Large Lenses like the Sigma 180mm Macro, the 150mm Macro looks small here. Neat isn’t it? I specifically like the customizable & thick paddings which I am sure that in the event of a fall, these paddings will do wonders in protecting my equipments from shock and knocks. I shall be back again with more varying configurations and more features of the Lowepro X300 once I discover them – myself. Meantime, should you be interested to know more about my other Lowepro bags (see below list), how I use them and for what purposes, please feel free to drop me a note at media_world@live.com , I will be glad to share with you as well as to advice you how to pack your gears correctly and using all available space at the same time. + many flash pouches & lens pouches which is too many to name. Our trek started in a small Colorado garage over 40 years ago. Since then, we’ve been traveling the world on the backs and shoulders of the best photographers on the planet. We’ve learned. We’ve innovated. We’ve become a leader. For over 40 years, we’ve worked to develop and perfect camera carrying systems – maybe to the point of obsession. But we’ve never stopped at just innovating and improving products. We strongly believe that we owe it to ourselves, and to our industry, to do whatever we possibly can to protect and save the environment. We take as much pride in this aspect of our business as in the work we put into the products you’ll see. Most of our bags were inspired by helpful advice from you and your peers. We greatly appreciate your artistry and input. We’ve listened carefully to your suggestions, and we’re sure you’ll find something in these pages that’s exactly right for you. Because wherever you go on your next assignment, we want to be right there with you. Visit www.lowepro.com.sg for more details. Established in 1959, Cathay Photo since its very beginning has been driven by the objectives of providing the best photographic equipment, pricing and service to our customers. These objectives have ensured its continued growth from just two humble showcases occupying a quarter of a shop-front to its present five retail outlets, an administrative / distribution office and a warehouse. It is constantly on the lookout for the latest gadgets and solutions to add to its line-up of over 60 internationally renowned brands, and recognizing the growing presence and popularity of HD video, due largely to the introduction of DSLR cameras with HD video capabilities, it made its foray into the Pro Video market, expanding its offering to products from brands such as Steadicam, Zacuto, Kessler Crane and Genus to name a few. Having served the photography industry for over 50 years, and backed by its proud heritage, Cathay Photo is without doubt the preferred photographic retailer in Singapore today. Visit www.cathayphoto.com.sg for more details. This entry was posted in Brand: Canon, Brand: Sigma, Featured Photography Merchants, Group Test & Reviews, Photography Articles & Videos, Uncategorized and tagged Cathay Photo, DSLR, Lenses, LowePro, Photography Accessories, Sigma. Bookmark the permalink.